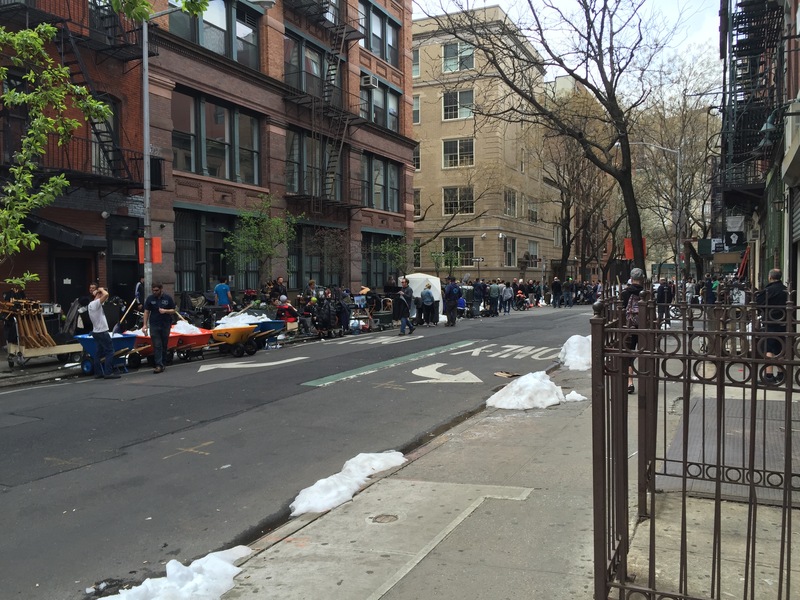 The other day, I was walking down Bleeker Street in southern Manhattan, when I noticed a commotion: to my right, a large number of people were taking out their cell phones and snapping pictures. The phones were pointed in my direction, but they were focused on someone behind me. I turned around to see a black gentleman wearing an orange ski cap sitting on a bike. I did not see his face at first, but when he turned towards me, I realized that it was Will Smith and that I had almost walked into the middle of his film shoot! It turns out that he was filming for Collateral Beauty, a movie coming out in December. 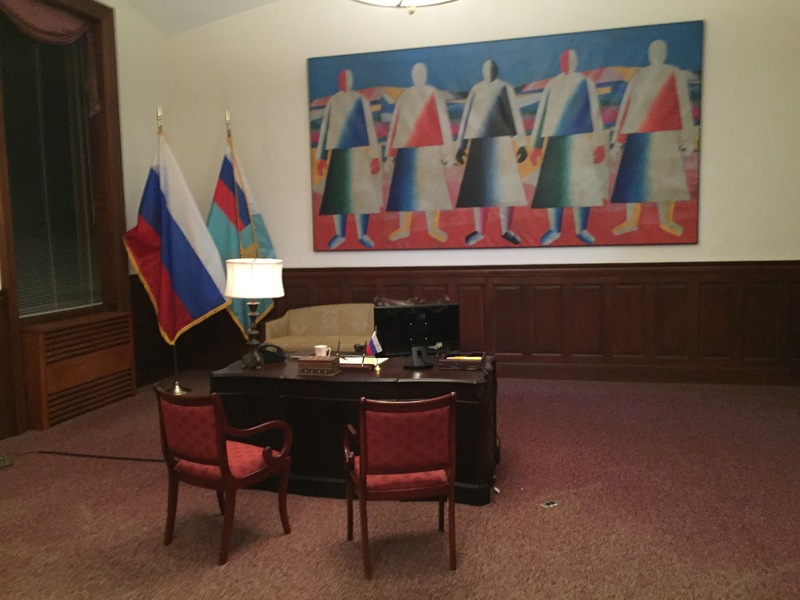 The conference room turned into a Russian embassy. Having come upon two film shoots in the course of two weeks, the film industry was already on my mind, but something about that nonchalant statement made me think about it even more. Obviously, what the person meant to say was that they create virtual reality, but virtual reality is still connected to and exerts an influence upon true reality. Hollywood and the film industry create virtual reality, but through it, they influence the way real people think and act. In this way, they do create reality. This power to shape reality through virtual reality is nothing new; it is as old as mankind itself. Since man has been telling stories and creating works of art, he has been shaping virtual realities that are extensions of his own experience and his own understanding of the real world. These artistic virtual realities are imbued with his own worldview, and all of the moral, religious, and philosophical assumptions contained therein. This means that whoever has the ability to create artistic realities wields a considerable amount of power, power that is proportionate to the skill with which he exercises his art. The more realistic and entertaining the art, the more enthralled the viewer becomes, and the more likely he will be to assimilate the worldview of the artist. All art, but especially the art of storytelling, is a powerful way to communicate and teach philosophical, moral, and religious principles, be they true or false. 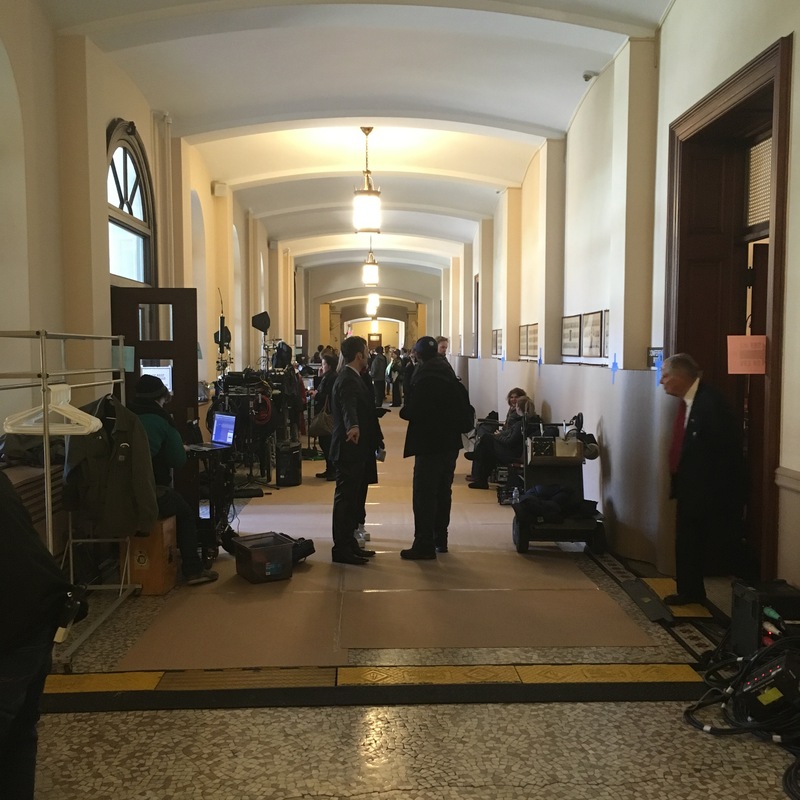 This is why both the rector of the seminary and the representatives of the Archdiocese of New York read the script of the episode of Madame Secretary before allowing CBS to use church property to film it. Knowing the power of television, they had to be sure that they would not be collaborating in anyway with a story that communicates ideas contrary to the truth. I would suggest that we use the same type of discernment with the entertainment that we allow in our lives. We have to remember that when we watch TV, play video games, listen to music, read books, or view any other type of art, we are allowing ourselves to become part of a virtual reality, and we are thus giving the creator of the art the power to communicate his worldview and values to us. We need to be careful with that. I am not saying that we need to be puritanical and reject all art that contains values contrary to our own. Rather, I am suggesting that we be discerning in the way that we approach it. In other words, we ought to be attentive to the values being suggested, take what is true, and reject what is false. Now, then, altogether after the manner of bees must we use these writings, for the bees do not visit all the flowers without discrimination, nor indeed do they seek to carry away entire those upon which they light, but rather, having taken so much as is adapted to their needs, they let the rest go. So we, if wise, shall take from heathen books whatever befits us and is allied to the truth, and shall pass over the rest. 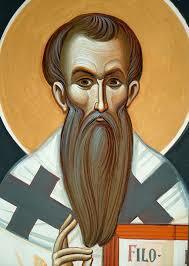 The next time you sit down to watch TV or watch a movie, keep in St. Basil’s timeless advice: take what is “allied to the truth” and “pass over the rest.” Do not let Hollywood indiscriminately influence the reality of your life.